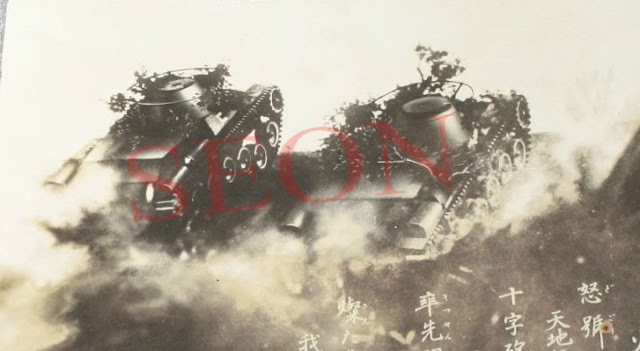 As of late, I have uncovered photos of Japanese tank training in Manchuria sometime in 1937 at a photograph auction. At first I regarded this as just another photographed album of pictures of the inter-war period, but, looking through the album, I came across a photo which deeply intrigued me. Two tanks of unknown design, being tested climbing a rise in the fields outside the Manchurian Tank School. At first glance, I had presumed them to be both Chi-Ha tanks as they fit the typical Japanese medium tank style. Further analysis, however, made me believe that these were not Chi-Ha tanks, rather, two brand new designs of tanks as yet unknown. Consulting with some of my colleagues on this, I have since connected some dots in Japanese tank development history that were previously left unnoticed with the research community. Here today I present my new thesis regarding the steps the Japanese most likely took when producing their tanks. Two New Medium Tanks I recently discovered through a photograph auction. The Empire of Japan, like other nations, had their own style of classifying things in the military. Japan used the Imperial Calendar when naming weapons and vehicles in the military under the year of enacted service or construction. It emphasized using the last two (or three) digits of the given year as a Type in number form. A common example of this was the Type 95 Ha-Go tank. The Type refers to the fact the given vehicle belonged to the military. The two digit number following the Type meant that the tank was built in 1935 (Imperial Year 2595). This was standard issue for all things in the military, and would follow through to even the current year. The Ro-Go is commonly known as the Type 95 Heavy Tank. Until 2015, the heavy tank was simply referred to as a heavy tank due to no found naming term applied to it. However discoveries with the O-I documentation release confirmed the tank was given the name Ro-Go, as it was the second tank in Japan produced in numbers outside one or two. It was never labeled as a heavy tank in name, only in its description. Hence the common theory arose that the tank was only referred to as the Type 95 Heavy, instead of the proper name Ro-Go. Other tanks such as the Type 94 Te Ke were not included in this nomenclature due to being a tankette, classified as an armoured car. Hence only three tanks were given naming. The glaring issue with this system was that the Chi-Ha had been labeled the Third Medium tank, despite there being no First and Second Medium tank (I and Ro). Many historians came to the commonly agreed upon conclusion that since the system was only applied to tanks produced from 1937 onwards, the vehicles prior to this were not given the integrated naming change. Japan had produced two medium tanks with the old classification system, the Experimental I tank, which was classed as a medium-like tank, and the Type 89 I-Go. 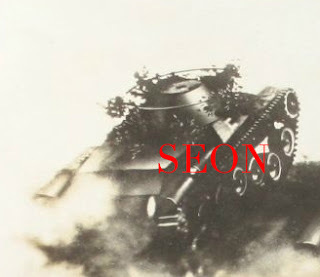 With no knowledge of any other tanks, it was believed the Japanese considered these two tanks the predecessors of the Chi-Ha, and falsely labeled the Experimental I and I-Go tanks as the “Chi-I” and “Chi-Ro” tanks respectively. Of course, there were problems in this common interpretation that were left unanswered. The Type 98 Ke-Ni, dubbed the Fourth Light Tank, was the first Japanese light tank design with the new Iroha classing nomenclature. 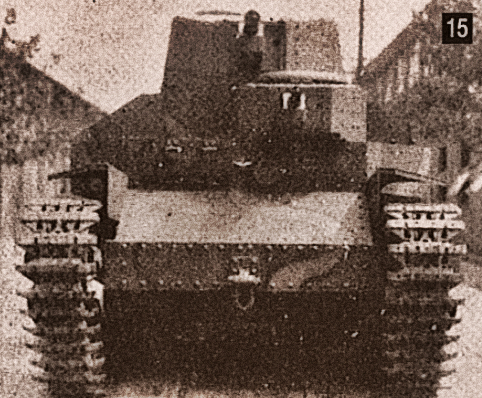 The Ha-Go, which was referred to as the Third Domestic light tank in Japan, had too been incorrectly placed before the Ke-Ni in the Iroha naming system. This left a gap in light tank development that had simply been left unfilled. 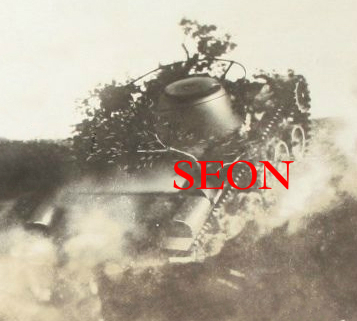 The lack of documented records with early Japanese tank history had given many historians decades later the trouble of securing a firm timeline of tank development and naming. the role as Japan’s new battle tank. One of my work colleagues, by the name of David Lister (Listy), had two years ago, uncovered more tanks that were produced in Japan during the interbellum period. Hidden within the British archives were a series of heavy and light tanks that according to documents of multiple nations (such as Britain, Japan, Sweden, Australia, America, and Russia) were produced in small numbers and serviced throughout the Chinese mainland and Pacific islands. With these tanks are three light tanks, all supposedly built. If the two tanks I uncovered are truly the Chi-I and Chi-Ro, this even further supports the theory as the three light tanks fit perfectly into the Iroha system where the Ke-Ni is the Fourth Light, with no known predecessor to fit the first three spots as circumstantial evidence supporting my theory. In this new proposed theory, every spot in the Iroha classing system falls into their proper order up until the 1944-1945 gap where many tanks were scrapped and remain unknown. * = Tanks currently not publicly available. Kept private with David Lister and I until his book, which was recently contracted, is published. Type 95 I-Go, Type 95 Ro-Go, Chi-I ("Mystery Tank A"), Chi-Ro ("Mystery Tank B"), Ke-I, Ke-Ro, Ke-Ha, Ke-He, Ju-I, Ju-Ro, Ju-Ha, and Ju-Ni.........so 13 native Japanese tanks with unavailable or little-known information still to be added? Sweet. He told me its getting finalized, so expect within the upcoming couple months! Do we have a book title or anything to go by? Japanese tanks greatly interest me and I'd love to read David's book, but I'm forgetful and will probably not remember this site exists. This really is fascinating, I didn't realize there were so many different vehicles yet to be rediscovered in digging through the archive. Thank you for bringing this up. Also, I'm definitely looking forward to David Lister's book - maybe when it gets published, someone will finally get around to updating the Wikipedia page for the O-I and people will stop asking about the supposed 120t and 140t versions. Thank you so much. Enjoyed the article. What about the tank destroyer/assault gun series? Any info on them? So far the internet only holds little information about them. Indeed your research and your friend's upcoming book is impressive. Might I note that this content could help Wargaming with the japanese tech tree in World of Tanks. In fact, you cold contact them after everything is done and arrange some sort of agreement about sharing your discoveries. World of Tanks is a game that insipires many people into tank research, including me, of course. Where does the name of the Chi-Se come from? I don't see you mentioning the "Se" as any of the numbering. Am I correct in assuming that there was no "Chi-chi" tank? Since the word chichi already has a number of meanings. Japanese often retouchthe photo, so this will be “photoshopped” photo. This blog is really helpful. Thanks for sharing this informative blog. Keep it up. The new discoverable cylinder theory that many people are eager to know. I would like to know this very much. It makes me know this much more.